Excuse the creased shorts and focus on this very pink outfit. This is probably the first pink outfit I wear as I’m slowly adding the colour into my wardrobe. Big change I’d say. Not sure if it is too much? This shade doesn’t make me feel like a Barbie but I do feel a lot more feminine. Powder, blush pink, is definitely a favourite now. The shorts are cute but they crease so easily even if I sit down for a few seconds. As long as no one is offended by it, it’s ok! I have plenty of ideas on how to style it though. “On Wednesdays, we wear pink.” I couldn’t resist posting a Mean Girls quote even if it’s Tuesday today. Random thought, why can’t I find 20 denier tights in store anywhere anymore? It’s either 40 or 15… If you’ve seen any in store, please do let me know. Mean Girls is the best! And I love your outfit, pink suits you really well! I like the texture of the top. It is very unusual. I love this top, I really like that sleeve length at the moment. I definitely don't think this is too much either. I wear like 80 denier tights haha, hate having cold legs! It's a beautiful blush pink! 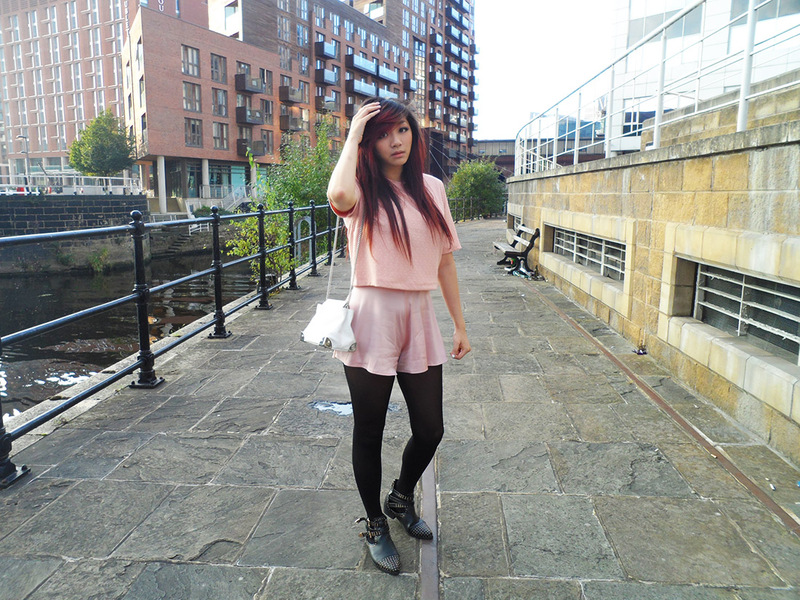 Pink looks great on you, I liked that you paired this feminine look with a hint of grunge…. 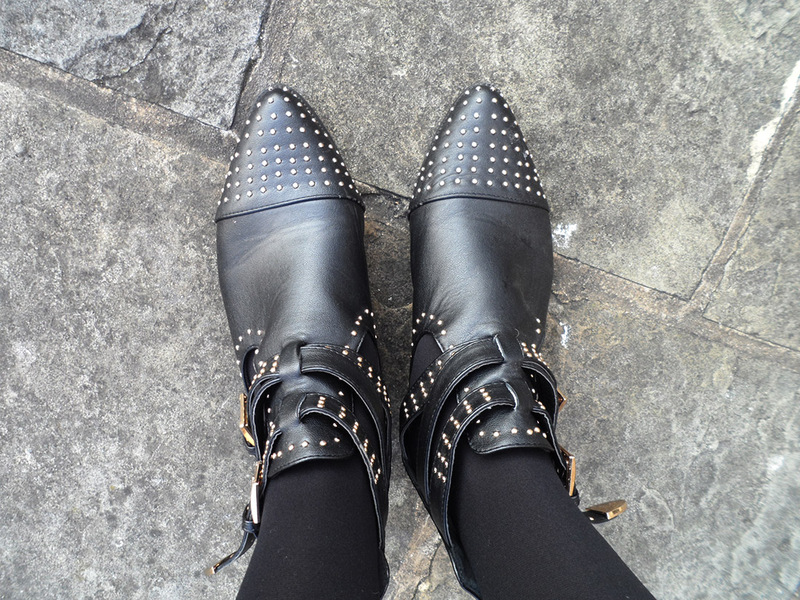 those Zara shoes rock !!! You look great in pink!! Love those shoes too!! Those boots are something ROCK!!! Me likey!! those shoes are amazing! i love them. never heard of the brand. This is a lovely outfit. I love the top.